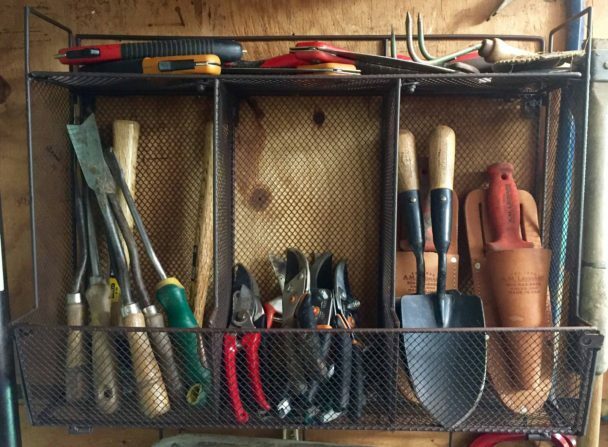 Cleaning out your shed, or refreshing your lawn & garden supplies for the coming season? 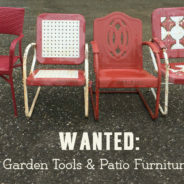 Please consider donating your gently-used tools, decor, and outdoor furniture to the ‘Lift! We’re busy collecting donations to get ready for our 10th Annual Garden Party & Spring Fundraiser. 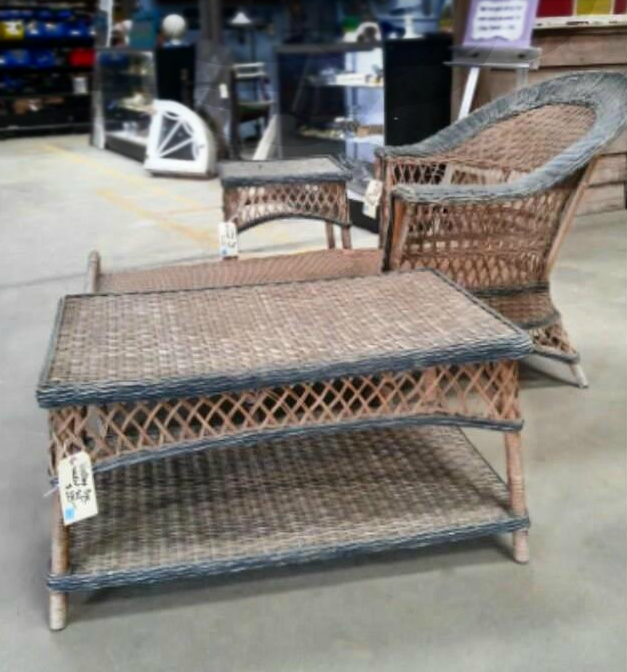 It’s coming up on April 6th, but we need time to process and organize the donated items beforehand, so please bring us your garden supplies soon. 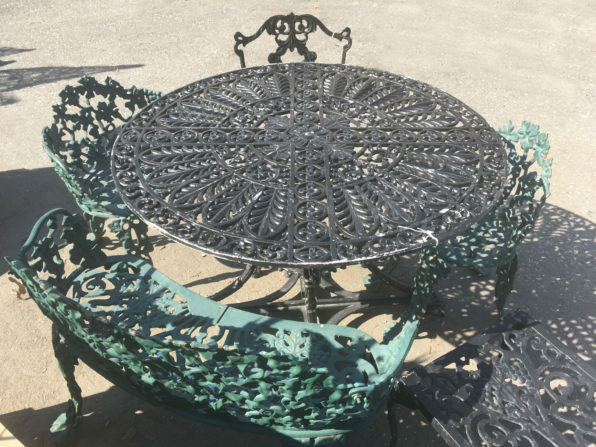 decorative and landscaping items (pottery, birdbaths, arbors, lighting, edging, brick, & stone). 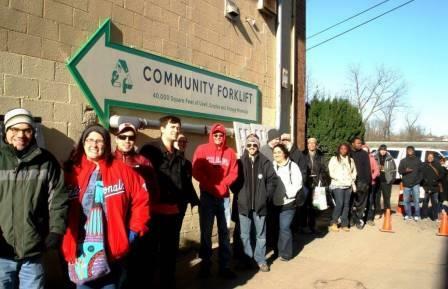 You can drop off donations at our warehouse seven days a week, from 9 am to 6:30 pm. We also offer a free pick up service – just visit our donations page to get more info or request a pickup. Don’t have anything to donate for our Garden Party? You can still help the cause! 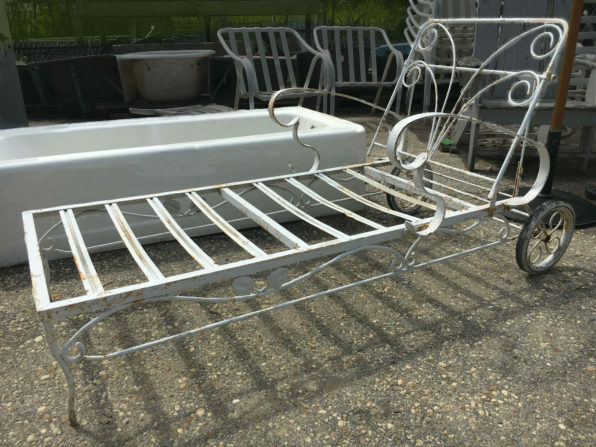 Please share this message with your friends, coworkers, neighborhood groups, and landscaping pros to encourage them to donate their gently-used garden supplies. Or, sign up for a volunteer shift – we will need lots of help to get ready, and to setup and cleanup on April 6th. 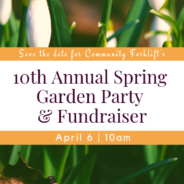 The Garden Party is the Forklift’s biggest fundraiser each year! Proceeds support our work to turn the construction waste stream into resources for the DC metro region. 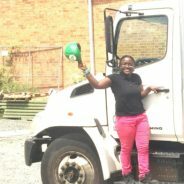 Your donations will help us create green jobs for people with barriers to employment; reduce waste; educate the public about reuse; and provide free supplies to neighbors in need, local nonprofits, and community gardens. 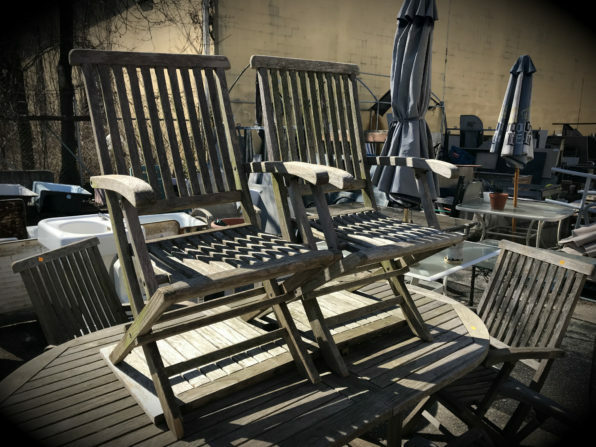 Ever thought about working at your favorite reuse warehouse? 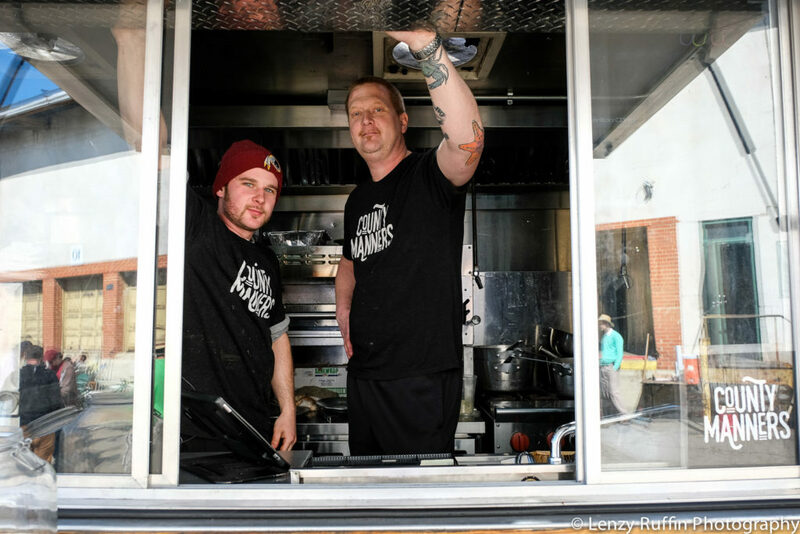 If you love the ‘Lift, your community, and green business, we may have the job for you! We’re seeking a full-time person who will be primarily responsible for managing donor relations and the logistics of residential and organizational donation pickups. We need someone with excellent record-keeping abilities and strong customer service skills. The ideal candidate will also have prior experience as a commercial driver (CDL not required)! We’re growing our outreach team, and need extroverted part-timers who can talk to the public at community festivals, help host special events, assist workshop presenters in our classroom, and lead volunteer groups at our warehouse. If you’re extremely outgoing, want occasional work, and are committed to the environmental and community work we do, we want to hear from you! Hours vary according to your availability and our needs, but our busiest seasons are weekends in April – June and September – November. 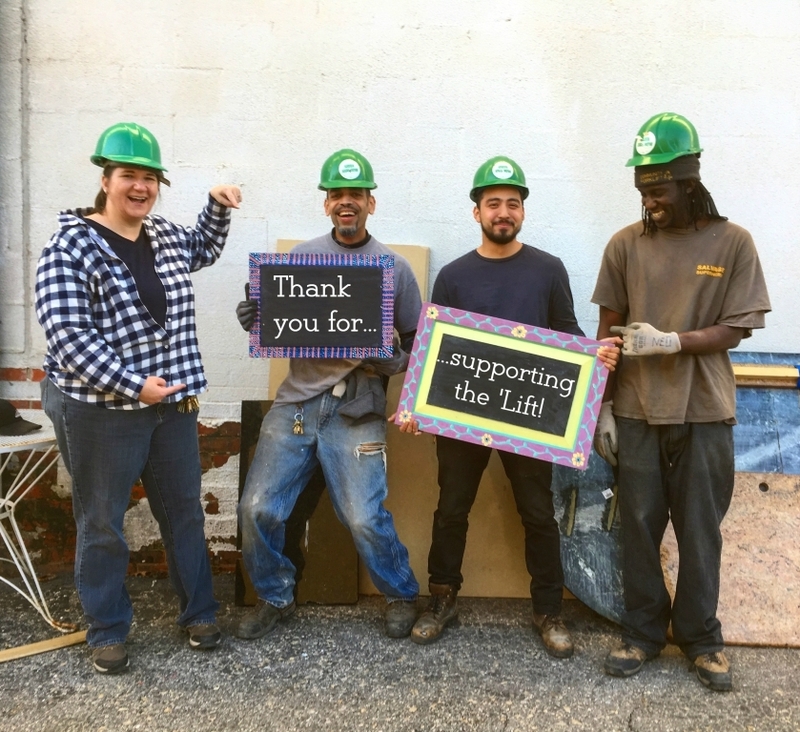 Community Forklift turns the construction waste stream into a resource stream for communities in the DC region – by keeping perfectly good items out of the landfill, preserving historical materials, providing low-cost building supplies, and creating local green jobs. At Arcola Elementary School, 4th graders in Samantha Nachlas’ art class are making drawings of their community which will be transformed into a mosaic. Wheaton Arts Parade (WAP) is a local nonprofit that celebrates art, cultural diversity, and the revitalization of the Wheaton area; a recently established Arts & Entertainment District in Montgomery County, Maryland. 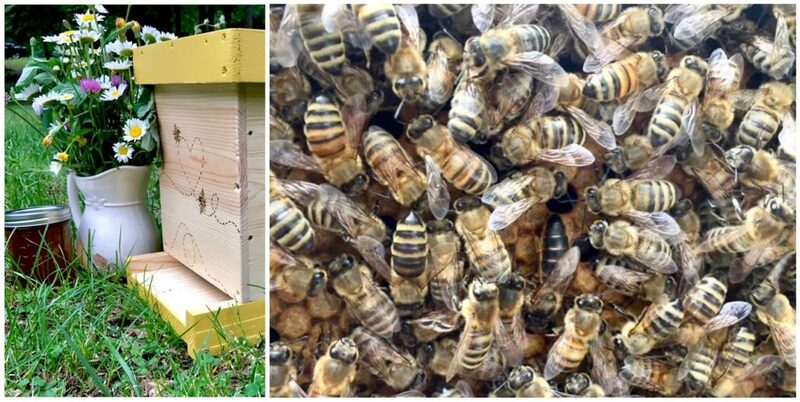 This year, WAP is creating two community mosaics that are supported in part by grants from the Arts & Humanities Council of Montgomery County, and a Community Building Blocks (CBB) grant from Community Forklift. 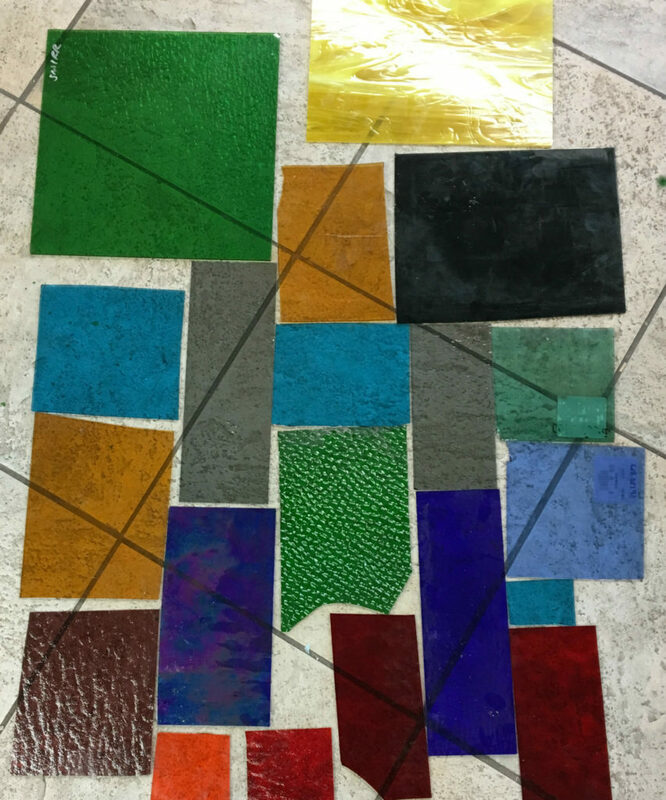 Through our CBB program, WAP collected an array of vintage stained glass and tiles that will be incorporated in the design of both mosaics. We sometimes get stained glass windows that are beyond repair. We don’t want to throw out beautiful vintage glass, so it’s always exciting when someone has a use for the scraps! The Community Mosaics are expected to be completed in April and will be displayed at WAP’s third annual Wheaton Arts Parade & Festival on September 22, 2019, before they are permanently installed at the elementary school and apartments. We can’t wait to see the final product! You’re invited to the Garden Party! Join us for a fun-filled event celebrating the return of spring and the gardening season! Note to early birds: No lawn and garden supplies are out yet. The Forklift will not have any garden items available until 9am on April 6. The party starts at 10am! 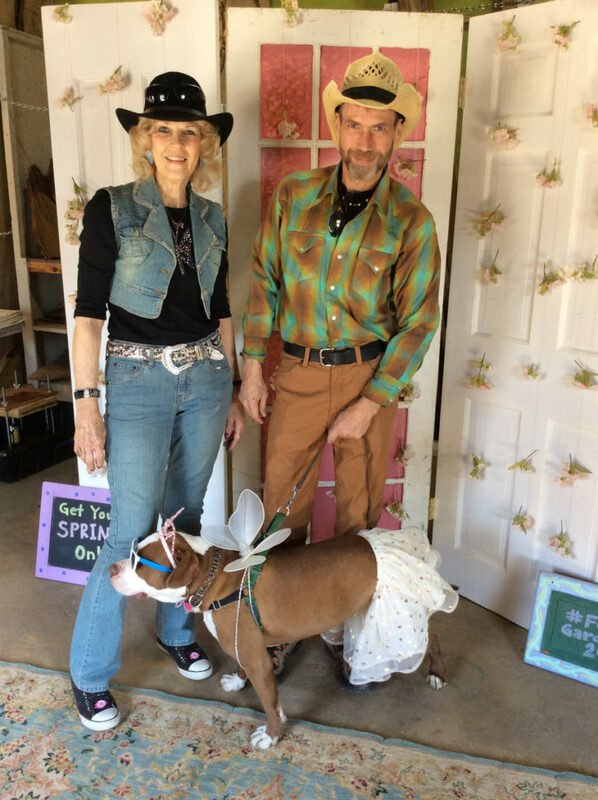 There will be prizes for people and pets dressed in garden party finery. So find yourself a dapper suit or fancy hat, and check out all the activities in store for you! Click each title to learn more and RSVP! Fusions? Standards? You never know what to expect from Roxanne Jarrett, a Jamaican-American singer raised in New York City. Trained in Opera, Broadway, Folk and Jazz, she sings in 5 languages and performs in the infectious language of joy. 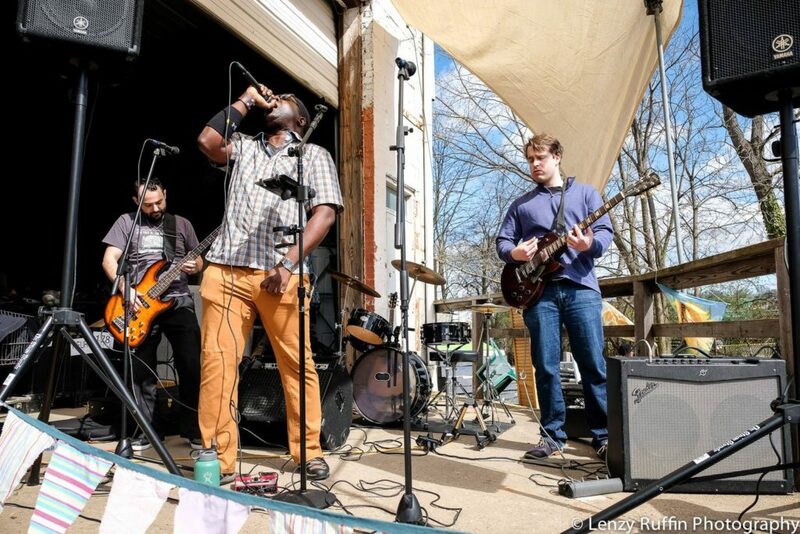 The Vico Cycle is a group of like-minded musicians based in the Washington, DC metro area who blend rock, funk, blues, soul, & hip-hop into a lively fusion of raw sound. Activities for the whole family, including FREE face painting by Signs, Wonders, & Gifts! Proceeds from the Garden Party support our work to create green jobs, reduce waste, educate the public about reuse, and provide free supplies to nonprofits and neighbors in need. If you’re interested in sponsoring the 2019 Garden Party, please click here to see our current sponsorship opportunities. So invite your friends, and start planning your stylish garden party ensemble! 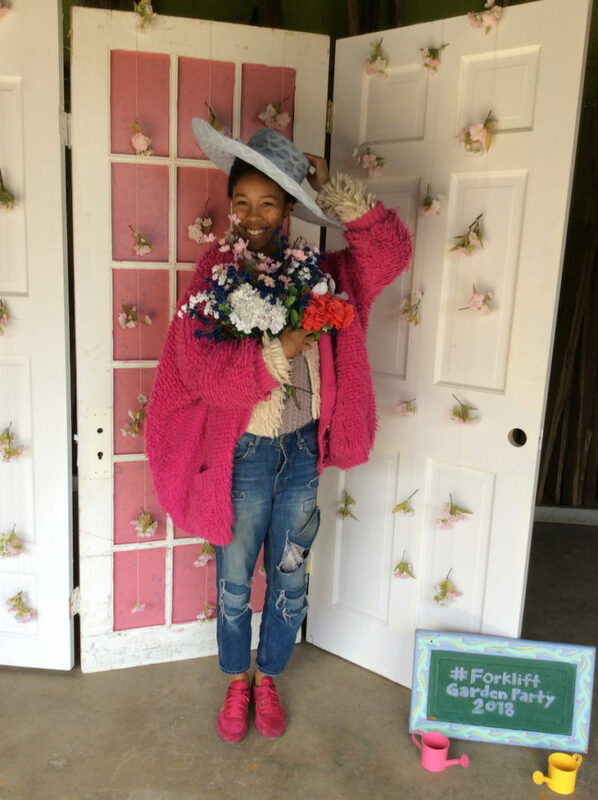 Join us in the Community Forklift classroom for a unisex, family-friendly clothing swap! Have you been holding onto that pair of jeans you’ve outgrown, or that gift that really just wasn’t you? Maybe your style has entirely changed. Your rags are someone else’s treasure! The premise is simple: Bring a bag of clothes you no longer wear and trade it in for clothes you will! And even better than that, you can upcycle what you find by cutting and remaking it into something entirely new. * Take as much as you can carry! Proceeds will benefit the Port Towns Community Development Corporation, and any leftover clothes will be picked up and donated by GreenDrop! 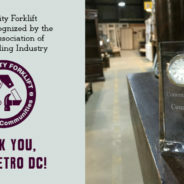 We are excited to announce that the National Association of the Remodeling Industry (NARI) Metro DC Chapter has presented Community Forklift with a 2019 Achievement Award for Community Service. 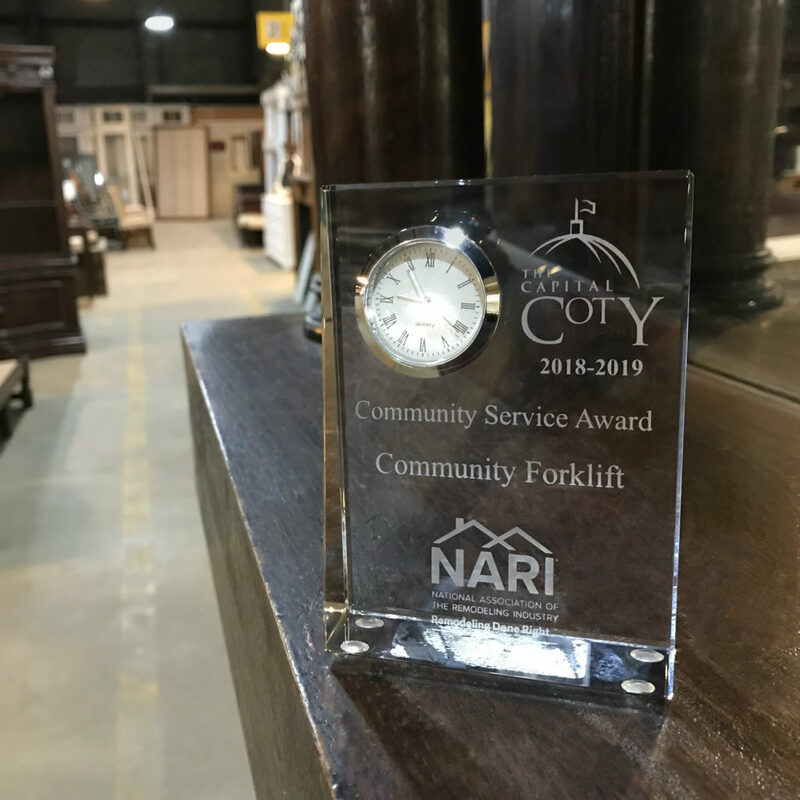 Each year, the NARI Metro DC Chapter recognizes those who have achieved excellence in their trade, service to the community, and all-around image. The Community Service Award is given to a NARI member who has donated time, materials, and energy to help individuals and groups in need. This award is judged on value of contribution to community over time and potential future benefits. 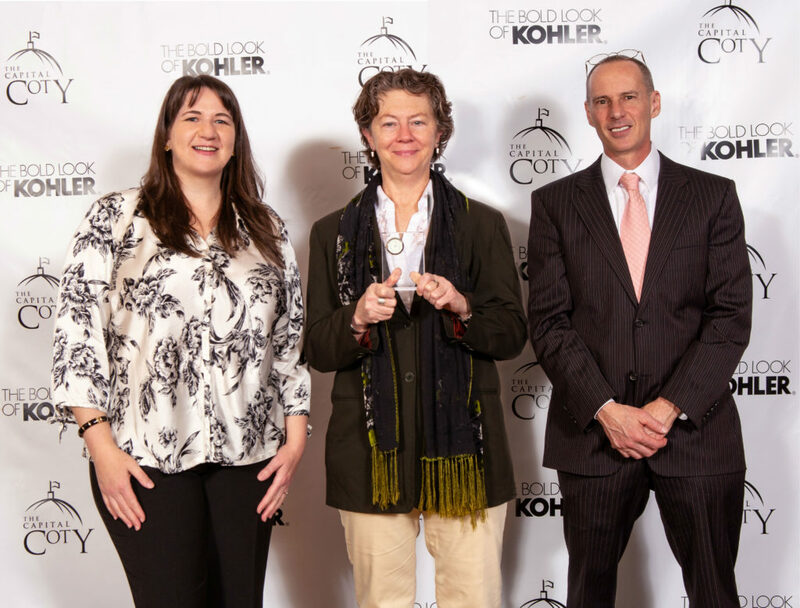 Nancy J. Meyer, CEO of Community Forklift, accepted the Community Service Award at NARI’s annual Evening of Excellence gala on February 9th, 2019 in Vienna, VA. Diverting tons of reusable materials from local landfills each year. 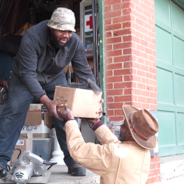 Acting as an economic engine for the community by offering affordable supplies for repair, renovations, small business start-up and entrepreneurs, property owners and landlords, and artisans. 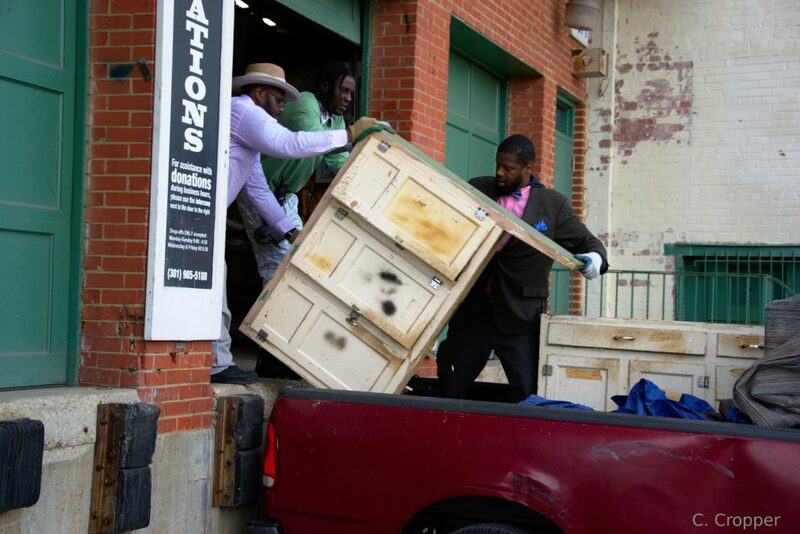 Providing free appliances, building materials, and furniture to neighbors in need and local nonprofits. 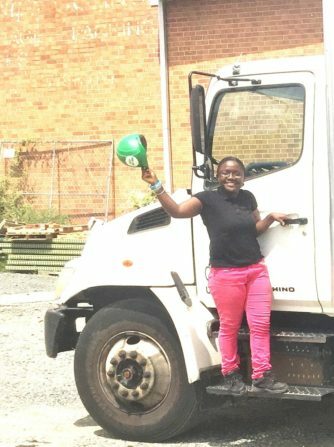 The Forklift has distributed approximately $400,000 worth of free supplies since 2011. Creating good green jobs with benefits, hiring returning citizens and others with barriers to traditional employment, and partnering with DC’s Project Empowerment workforce development program. Hosting 32 service-learning days in 2018 to teach adult volunteers and students about reuse, and providing summer internships for local students from the Port Towns Youth Council. Offering 25 educational workshops in 2018 to educate the public about reuse, home repair, and green living. Producing monthly gatherings with live music and artists, creating a free social gathering spot for the local community. We want to thank NARI Metro DC for this recognition, and for being a strong partner for our nonprofit. Chapter members actively spread the word about us, and have sent us many generous donations of building materials over the years. To be publicly acknowledged with NARI’s Community Service Award is truly an honor. 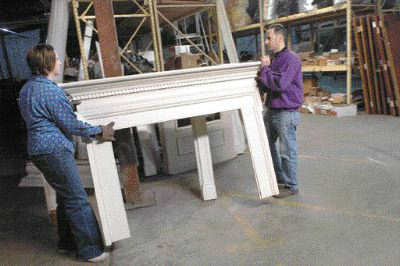 The National Association of the Remodeling Industry (NARI) is the source for homeowners seeking to hire a professional remodeling contractor. Members are full-time, dedicated, remodeling industry professionals who follow a strict code of ethics with high standards of honesty, integrity and responsibility. NARI Metro DC is one of the largest chapters in the country and adheres to very strict guidelines for membership. 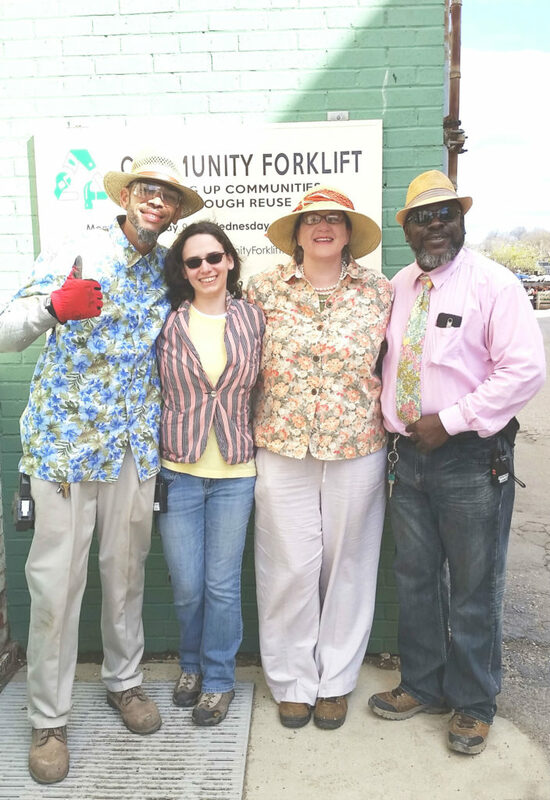 Behind the scenes at Community Forklift, coworkers are as close to each other as with their friends and families. There is nothing more important than assembling a great team, so hiring decisions at the ‘Lift are critical. Ray is one of the people making reuse happen in the warehouse every day. Ray came to us through DC’s Project Empowerment, a program that works to place people who have barriers to traditional employment. Project Empowerment runs an intensive training session for three weeks and provides support and job coaching, teaches their students to rise above personal challenges and to focus on developing a positive attitude in the workplace. They develop speaking and interviewing skills, build resumes, and teach students to advocate for themselves. Ray’s placement through Project Empowerment lasted four months, and when it was over, we did not have an opening to hire him. But we could not let him go! He was a hard worker, and had proven himself over and over. Working at Forklift is challenging, physical work, and Ray ran circles around guys who were half his age. Everyone looked up to him. 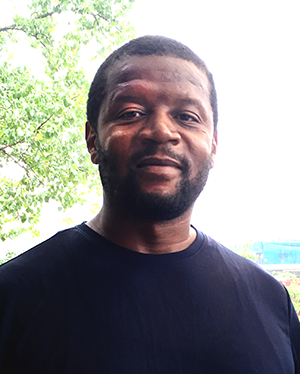 Ray finally joined the Forklift team in September 2017, as a Receiving & Processing (R&P) Associate. 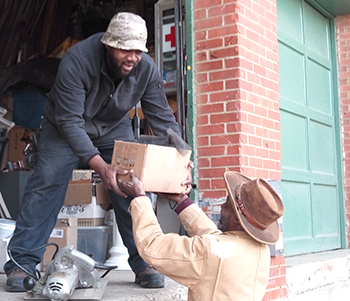 He has since risen through the ranks and is now the R&P Coordinator, overseeing all donations that come in to the warehouse from individual donors and our daily truck routes. In early 2018, Ray developed some serious health issues. We all held our breath as he underwent multiple surgeries and spent weeks in the hospital. We kept in touch through his family and scrambled to cover the huge hole his absence left in the warehouse. It was a tough time. Ray eventually made a full recovery, and we are thrilled to have him back. 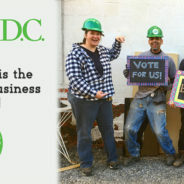 Your favorite local salvage warehouse needs your help defending our Best Green Business title! 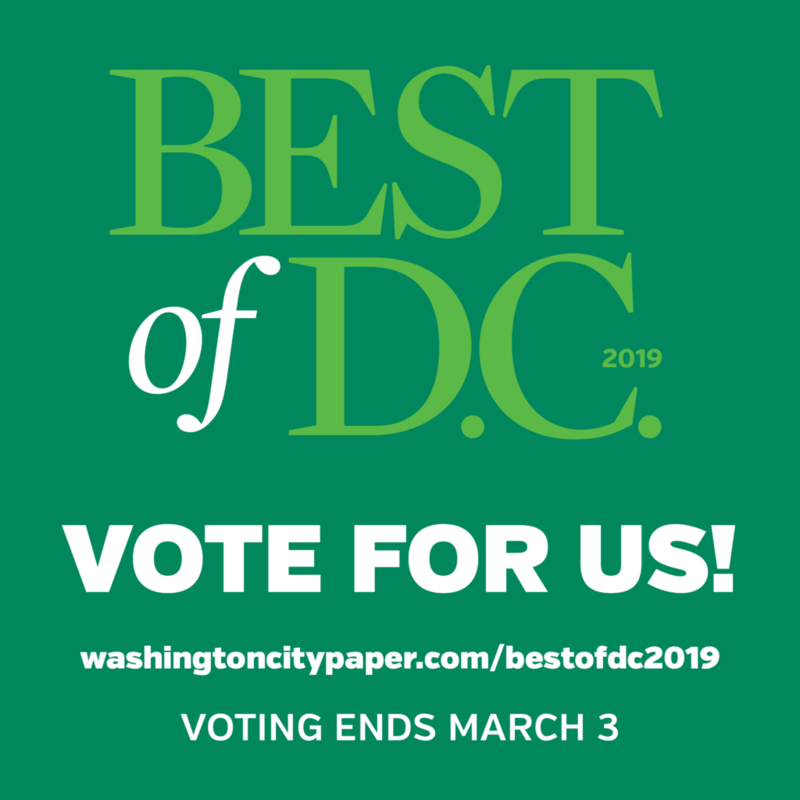 The City Paper’s Best of DC contest ends this weekend, so please take a moment to vote for us and your other local hangouts. It’s quick and does so much to support your favorite small businesses and nonprofits. To vote for the ‘Lift, select the “Goods & Services” category, then scroll down to “Best Green Business” and write us in. Then, share our post and ask your friends to vote too! We’ve won this title every year since 2015, and winning earns us valuable free publicity. 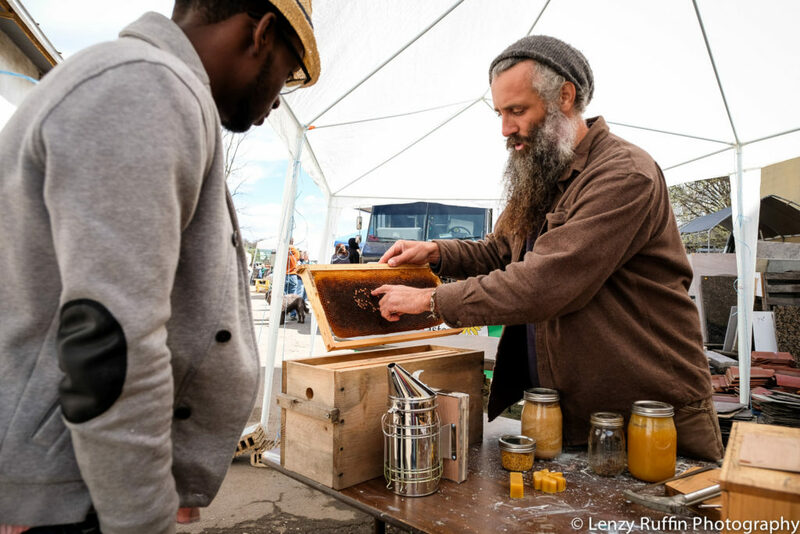 The more folks who discover us, shop here, and donate, the more money and resources stay embedded in the local economy, creating green jobs and supporting our free educational workshops and community giving programs. We’re so grateful for your support! 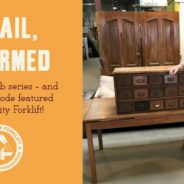 Community Forklift was featured on Retail, Reformed! Today’s episode is all about Community Forklift! 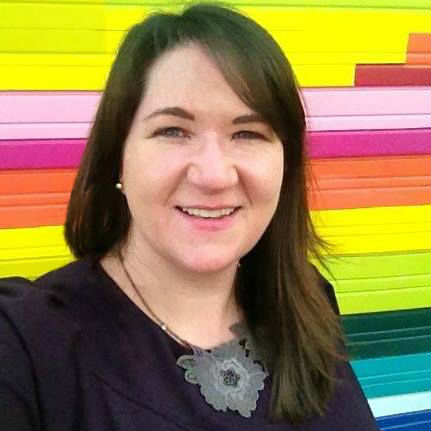 Ruthie Mundell has been with the Forklift since 2005. 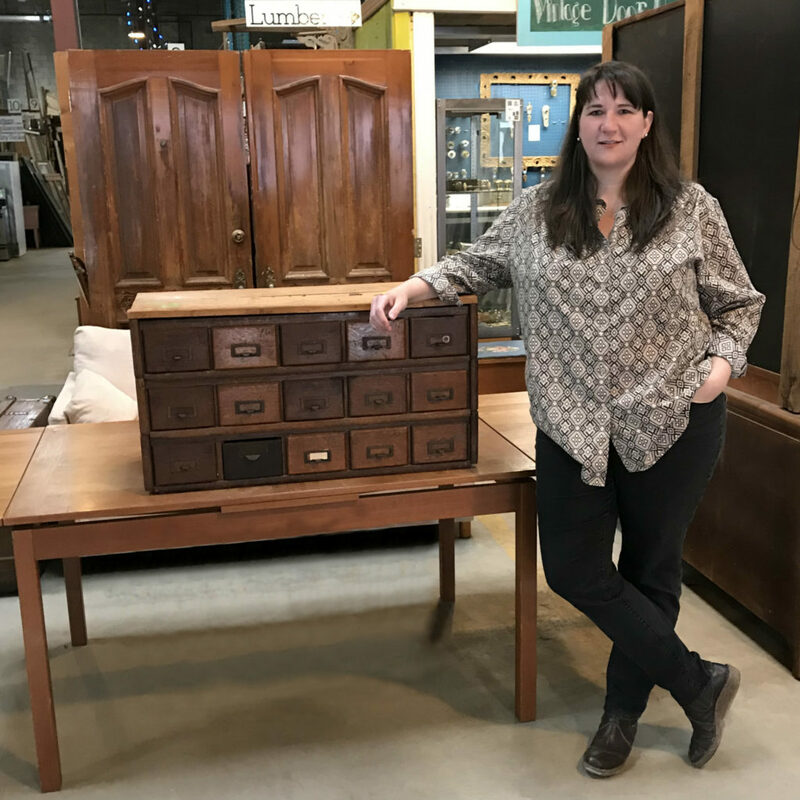 In her interview, she shares behind-the-scenes stories and explains how we grew from a scrappy startup into a salvage success. Over my years at the ‘Lift, I have learned that it is a monumental task to grow a retail operation and serve customers well. 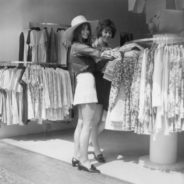 As a consumer who makes purchases every week, I also know how time-consuming and frustrating shopping can be. On top of that, I want to be true to my values and support businesses that are as concerned about people and the planet as they are about profit… but that gets really challenging! That’s why I am thrilled to share Retail Reformed, your guide to socially conscious brands, shopping without remorse and making a difference with every purchase. 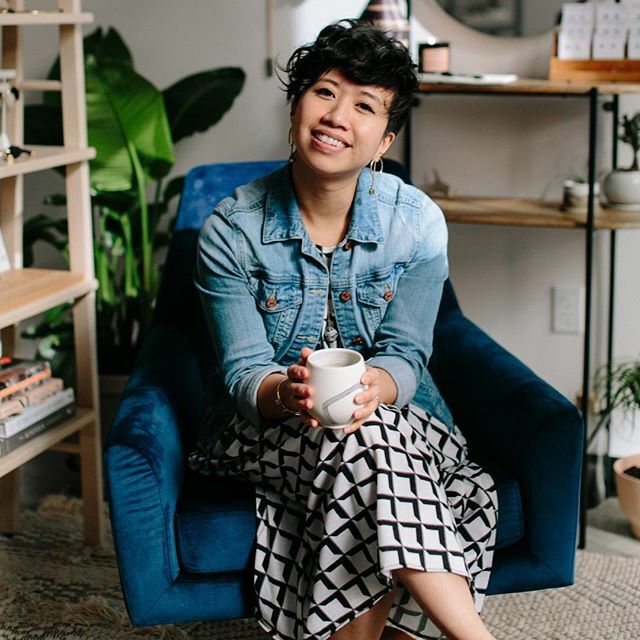 Host Sarah Bayot (founder/owner of Kicheko Goods) interviews business people and experts across multiple industries – all who are committed to creating a better world. Imagine a world where profitable and purposeful business contributes to each other’s well-being, solves social and environmental problems, and makes connection. That’s a world I want to be part of, and I bet you do too. From impact investing and travel agencies preserving craft technique and innovating how we travel, to shops that support independent artists and shopping local, and fashion companies that are closing the loop on waste, you will come away aware, empowered, and motivated to take your next step toward a more sustainable life. One important way to make change is by voting with your dollars. 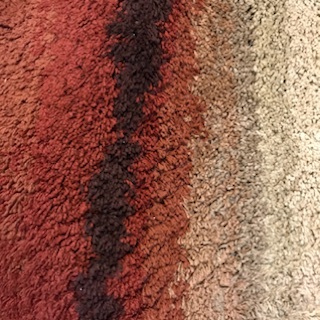 What if we declared “Yes” for ethical fashion, less waste, healthier products, and connected communities? These interviews are real, short, and inspiring. The best part is that this series is FREE! Just sign up at Retail Reformed to listen. Let me know what you think about my interview, and I do hope you’ll share the series with a friend. See you around the warehouse! 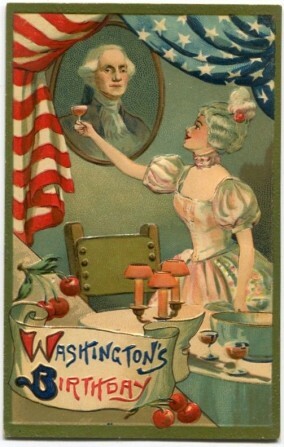 Yes, we’re open on Presidents Day – and we’re having a Storewide Sale! 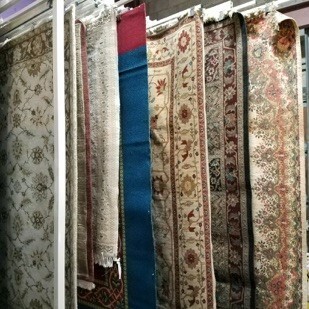 From 9am to 7pm on Monday, Feb. 18th, save on appliances, tile, granite & marble counters, furniture, cabinetry, lighting, doors, windows, shutters, mantels, sinks, architectural salvage, and much, much more. and yes, they’re included in the sale! 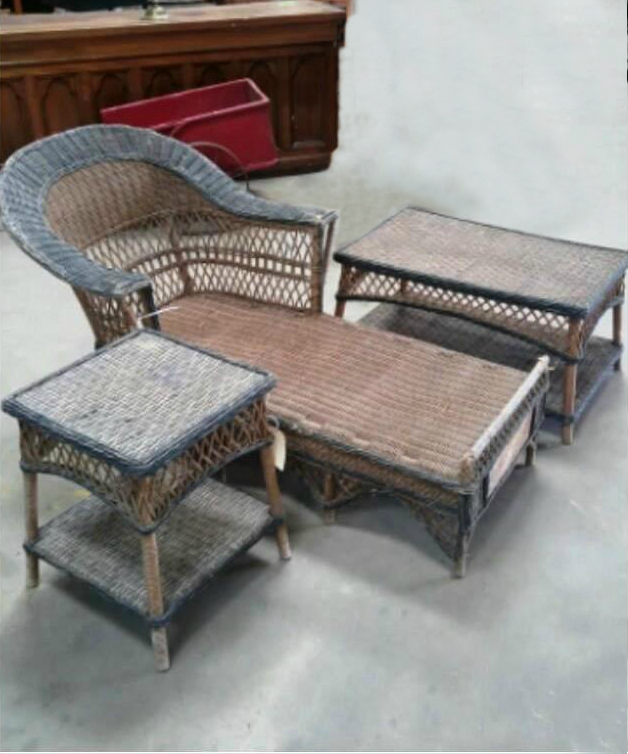 Sale does not apply to select specialty items, items sold online, or items from our consignment partners. 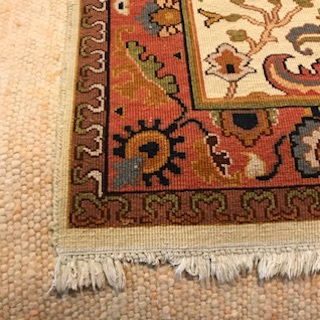 Items with missing or damaged price tags will not be sold. 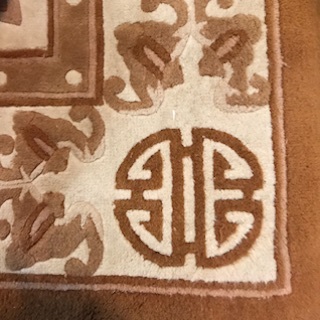 May not be combined with other sales. (The good stuff goes fast on holiday weekends, so we can’t guarantee that all items pictured will still be here when you arrive). Select the “Goods & Services” Category, then scroll down to “Best Green Business” and write in Community Forklift. If we win, more homeowners and contractors will learn they can donate to us. 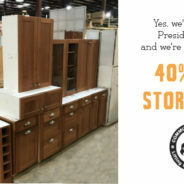 This means less waste, more jobs created, more supplies for neighbors in need… and more great bargains for you!